Do you want to add a vintage print or retro look to your photos? Some images really stand out with distressed textures added to them. 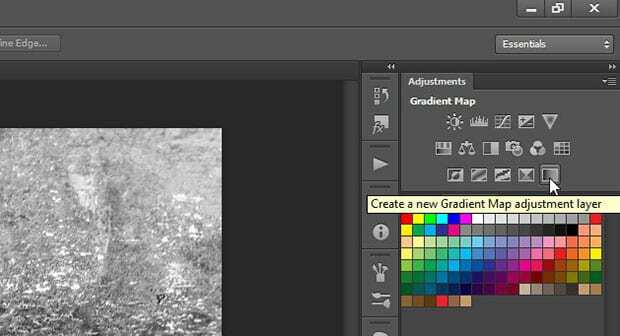 In this article, we will show you how to create a distressed retro look in Photoshop. 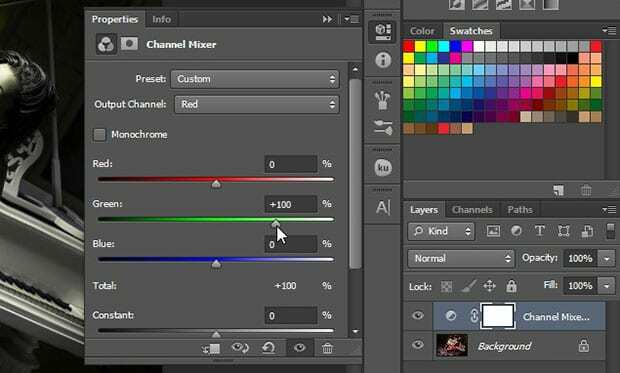 Now select the Channel Mixer from the Adjustments panel at the right-hand side of your Photoshop screen. 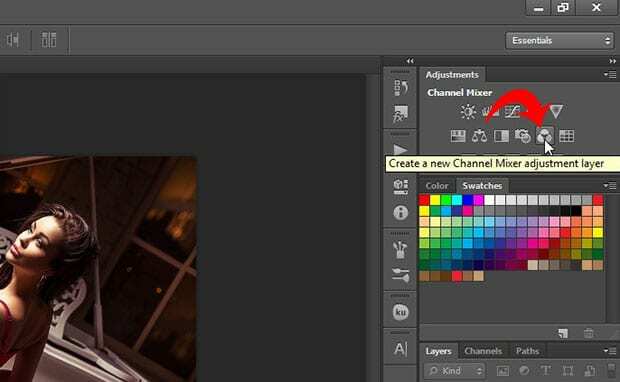 Now you’ll need to select the Channel Mixer layer in the Layers panel and reduce the opacity to 65%, so that some color pops out in your image. Then, you need to open an image with some texture (such as one of these). 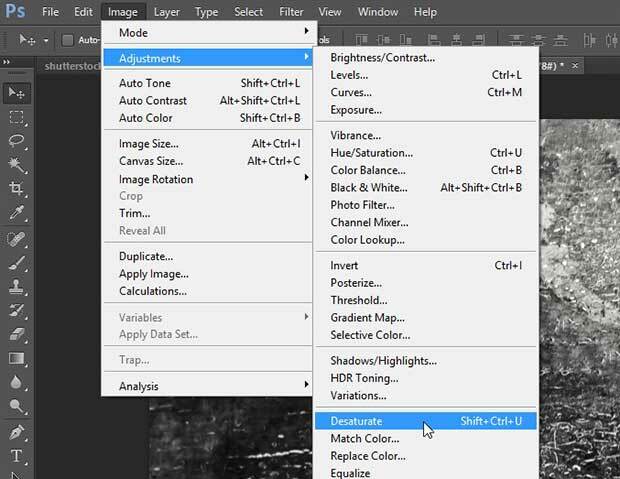 From the texture image, go to Image » Adjustments » Desaturate to desaturate your texture. Once the texture image is desaturated, you can create a Gradient Map adjustment layer from the Adjustments panel at the right side. Select all the layers in Layers panel, and press Ctrl + E to merge them as one layer. 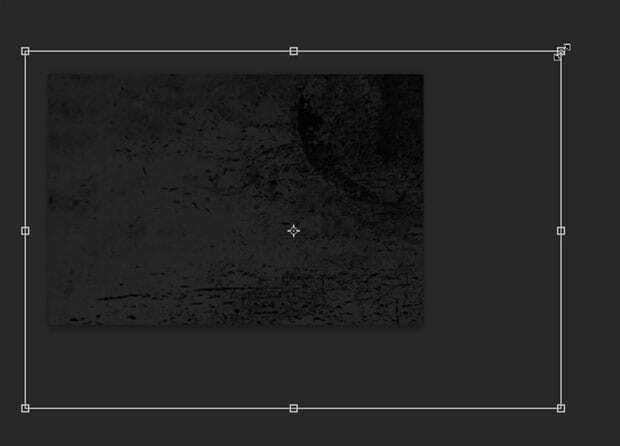 Now, drag the texture image into your original image file. You should press Ctrl + T to transform the texture layer and adjust it to the approximately the same size as your original image, or larger. Once the size is set, go ahead and reduce the opacity of the texture layer to 25%. Also, change the blending mode to Screen. 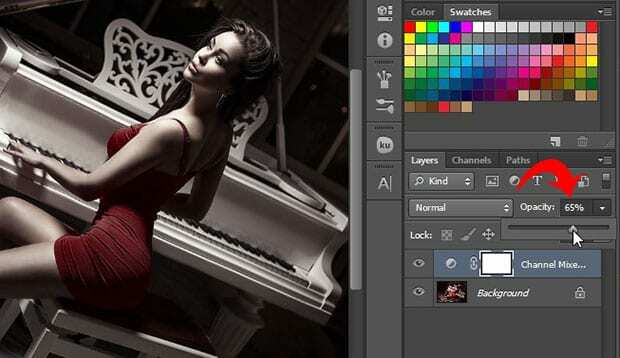 We hope this article helped you to learn how to create a distressed retro look in Photoshop. 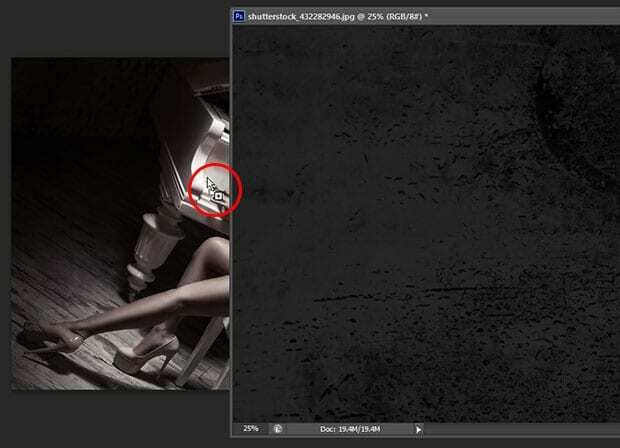 You may also want to check out our guide on how to add a dark grunge effect to your image in Photoshop.